Interesting Information: This is the Iconic film which made a history and shattered all the records. Official this is the Bollywood’s first movie which made a huge 100 Crore collection at the box office. The movie won 2 National Awards which are Best Popular Film and Best Choreography. 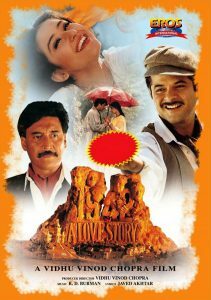 The film earned 5 Filmfare awards which include Best Film, Best Director – Sooraj R. Barjatya, Best Actress – Madhuri Dixit, Best Screenplay and Special Award to Lata Mangeshkar for singing “Didi Tera Dewar Deewana”. Unfortunately, Salman didn’t get the Filmfare for his memorable performance. Interesting Information: This patriotic romance theme Critically acclaimed as One of the best classic Hindi movie made in Bollywood history. 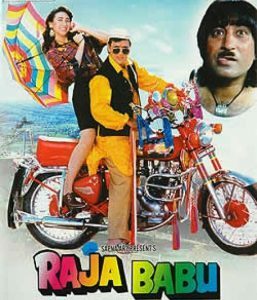 This movie won the 9 Filmfare awards which are Best Supporting Actor – Jackie Shroff, Best Music Director – R.D.Burman, Best Lyricist – Javed Akhtar, Best Playback Singer Male – Kumar Sanu for “Ek Ladki Ko Dekha”, Best Playback Singer Female – Kavita Krishnamurthy for “Pyaar Hua Chupke Se”, Best Art Direction, Best Cinematographer, Best Editing, Best Sound Design. 1942 A Love Story is the first Indian film which used Dolby Stereo system. This movie was the turning point for the actress Manisha Koirala’s career. Interesting Information: Krantiveer remembered as one of the finest performance by Nana Patekar. 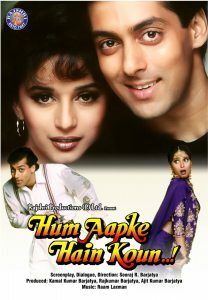 He earned Filmfare Best Actor be defeating Salman Khan’s performance in Hum Aapke Hain Koun..! Excluding this Krantiveer won 3 more Filmfare awards which are Best Supporting Actress – Dimple Kapadia, Best Dialogue and Best Story. Many people don’t know that dialogues written by Nana Patekar himself. The movie was the 3rd highest grossing of the year 1994. Interesting Information: Shah Rukh Khan won Filmfare Best Actor Critics Award for his “Sunil’s” role. The movie also won the Filmfare Best Film Critics award. Many people don’t know that Shah Rukh had taken the Rs. 25000/- as fees for this movie. 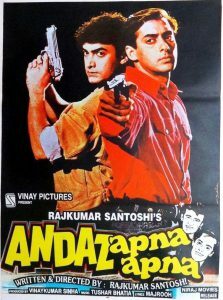 Interesting Information: Acclaimed as a one of the best cult comedy film of Bollywood. The movie was not that much of successful at the box office but now after the years became so much popular in youth. After delivering action movies Ghayal and Damini Santoshi made this cult comedy. Interesting Information: 2nd Highest grossing movie of the year 1994. 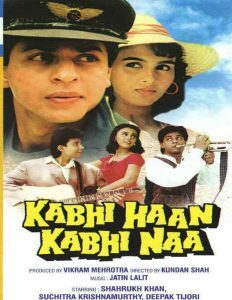 All the songs of this movie became chartbusters and still liked by audiences. “Tu Chiz Badi Hai Mast Mast” songs gives the limelight to Ravina Tandon and after this movie, she became popular as “Mast Mast Girl”. Naseeruddin Shah did remarkable work in the Villains role. Song “Na Kajare Ki Dhar” was originally composed by Kalyanji-Anandji and sung by Mukesh. The movie received 5 Filmfare nominations but didn’t win an award. Interesting Information: Raja Babu is considered as a starting of Govinda’s comedy movies streak. It was a remake of original Tamil movie “Raasukutti”. 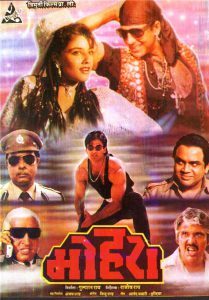 Raja Babu was the fourth highest grossing movie of the year 1994. 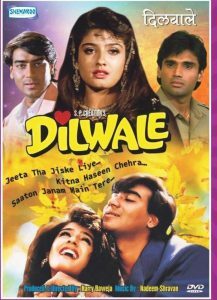 Interesting Information: Dilwale was one of the top 10 highest grossing movies of the year 1994. All the songs of this movie became hugely popular and played an important part in films success. Interesting Information: Tabu made a debut with this super hit movie and won Filmfare Best Debut award. The movie collected approx. 7.90 Cr at the box office and became one of the highest grossing movies. This movie soundtrack became the best-selling album of the year 1994.